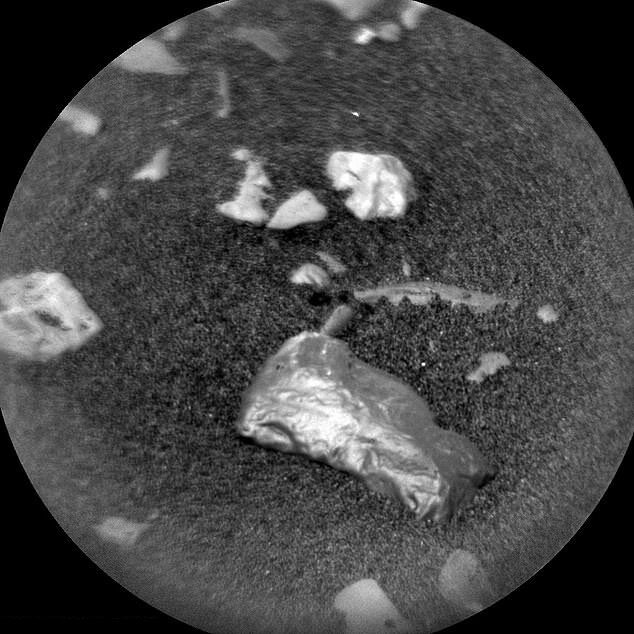 NASA’s Curiosity rover has discovered a mysterious shiny rock, officially named “Little Colonsay,” which could be gold, or more than likely, just a meteorite. The team will use its MastCam system to get better images, since it provides multiple spectra and true-color imaging with two cameras. The cameras can take true-color images at 1600×1200 pixels and up to 10 frames per second hardware-compressed video at 720p (1280×720). “One of the samples that we try to get a better look at is ‘Little Colonsay’. The planning team thinks it might be a meteorite because it is so shiny. But looks can deceive, and proof will only come from the chemistry. Unfortunately, the small target was missed in the previous attempt, and with the information from that, Curiosity will try again,” said NASA. Read more for the full-photo and a bonus video. One MastCam camera is the Medium Angle Camera (MAC), which sports a 34 mm focal length, a 15° field of view, and can yield 22 cm/pixel scale at 1 km. The second camera is the Narrow Angle Camera (NAC), which offers a 100 mm focal length, a 5.1° field of view, and can yield 7.4 cm/pixel scale at 1 km (0.62 mi). A pair of MastCams with zoom lenses was also developed, but were not included in the rover because of the time required to test the new hardware. The upcoming Mars 2020 Mission will use the improved zoom version and be known as Mastcam-Z. 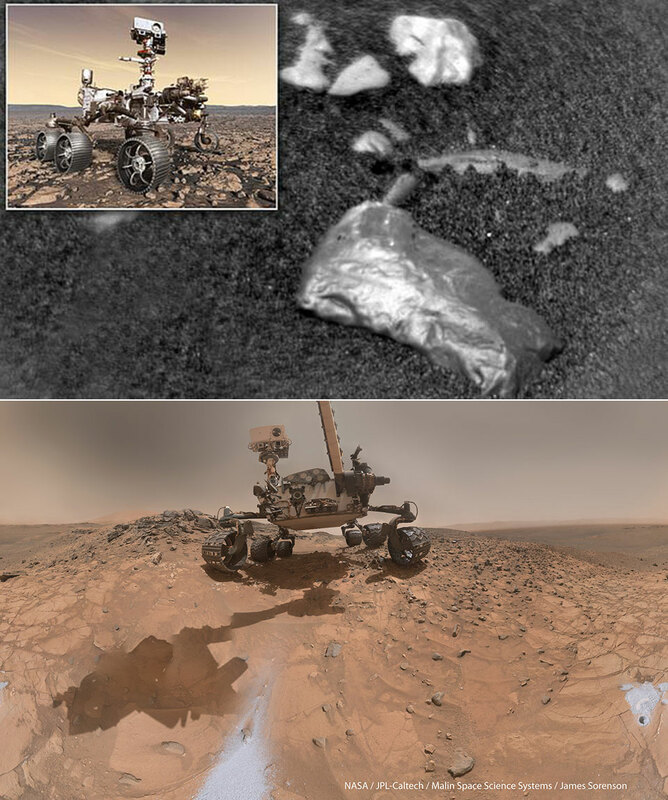 The general sample analysis begins with high-resolution cameras to look for features of interest, and once something is found, Curiosity can vaporize a small portion of it with an infrared laser to examine the resulting spectra signature and query the rock’s elemental composition. If the signature is intriguing, it will then use its long arm to swing over a microscope and an X-ray spectrometer to take a closer look. Lastly, if the specimen warrants further analysis, the rover can drill into the boulder and deliver a powdered sample to either the SAM or the CheMin analytical laboratories built into Curiosity.